If we could only live on pizza and pasta for the rest of our days, we’d die pretty damn happy tbh. And if that particular tucker came from the gang at the cutest new Italian restaurant Osteria Del Mare, then we’d be stoked. 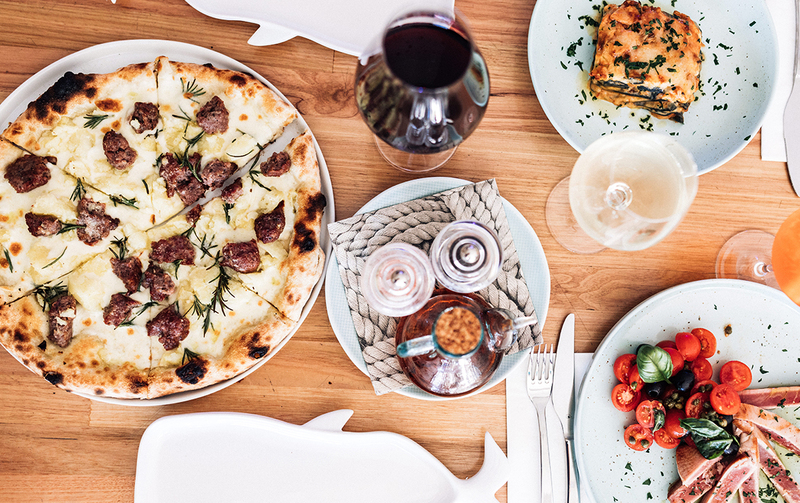 The eatery recently opened their doors in arguably the Coast’s number one foodie hotspot—Burleigh Heads—and they’re servin’ up tasty Italian fare on the daily. Mama Mia! If your Insta feed is currently flooded with pics of your pals on amazing European getaways RN (us, too! ), save yourself some cash and head over to Osteria Del Mare for lunch instead. Located just a stone’s throw from our faves Jimmy Wahs and Iku Yakatori, the new kid on the block is light and bright, giving us serious Italian coast vibes with pale timber, crisp white walls and touches of nautical blue. AKA the perfect spot to sip an Aperol spritz in the sun and breathe in that salty Burleigh beach air. Who needs the Amalfi Coast anyway? Chef head and owner Andrea Riva—the latest Sydney chef to relocate to the GC—originally hails from the Northern Italian region of Emilia Romagna is sharing his foodie roots with a menu that’s filled with delectable eats. 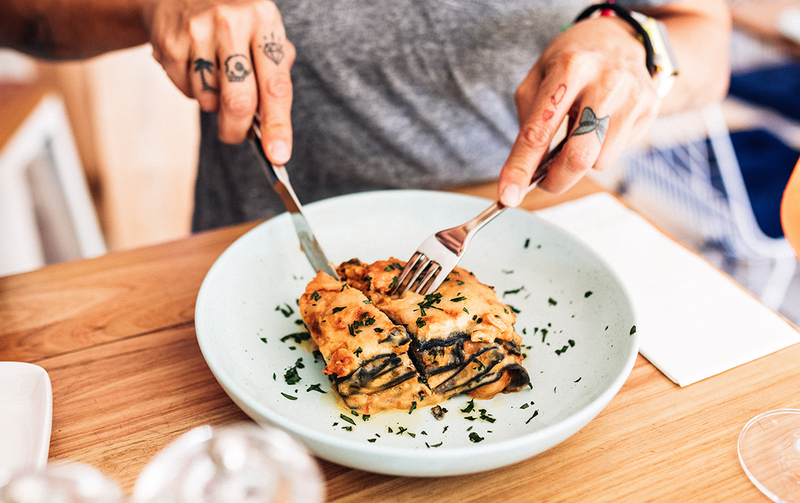 Their signature dish, lasagne del mare, is a must-do—think fresh and flavoursome squid, prawn and fish, cooked to perfection between delicate layers of activated charcoal pasta. Yep, it’s tasty and totally Insta-worthy. Next up we recommend grabbing some Fritto Misto Pesce with calamari, prawns and lime mayo and the Tonno Pinna Gialla—200-gram chargrilled yellow fin tuna with cherry tomatoes, olives and capers, it literally tastes of Italian summers. And you can’t go past their mouth-watering pizza—100% homemade, naturally risen for 48 hours and cooked straight on the stone. YUM! 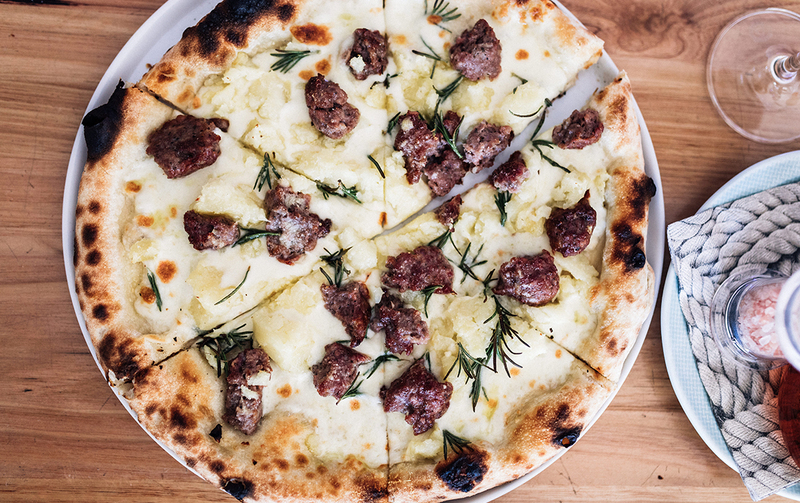 Try the Patate e Salsicia—mozzarella, potato, Italian sausage and rosemary. They also offer gluten-free bases and vegan options, so everyone can fill their bellies. Sweet tooths will be pleased to know there’s traditional tiramisu and affogato on offer…if you have room left that is. Oh, and did we mention they do brunch as well? We’re talking delights like a bacon and egg pizza sandwich. What a heavenly creation! We suggest heading in early to wrap your choppers around one of those then staying on for lunch, with a selection of wines, beers and spritzes too obvs, on offer to wet your whistle along the way. 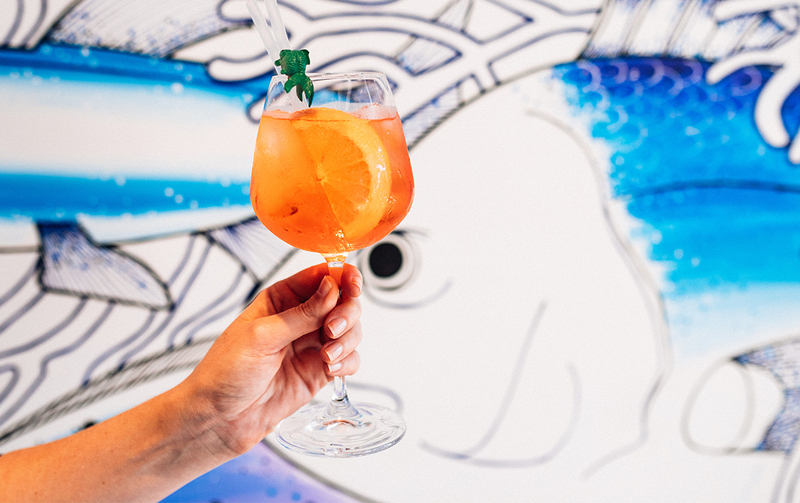 Osteria Del Mare is the perfect spot for a casual but oh-so-tasty catch up with your crew, we reckon this place is sure to become one of your faves. Looking for somewhere to kick on afterwards? Check out our round up of the best bars in Burleigh.